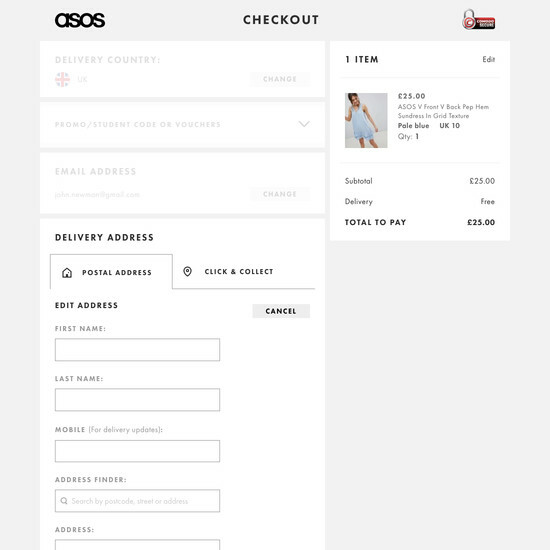 The shipping address represents the largest amount of typing the users have to perform during the checkout flow, and it’s therefore also where most sites have great potential to optimize users’ checkout experience, by reducing and easing typing of address and contact info. 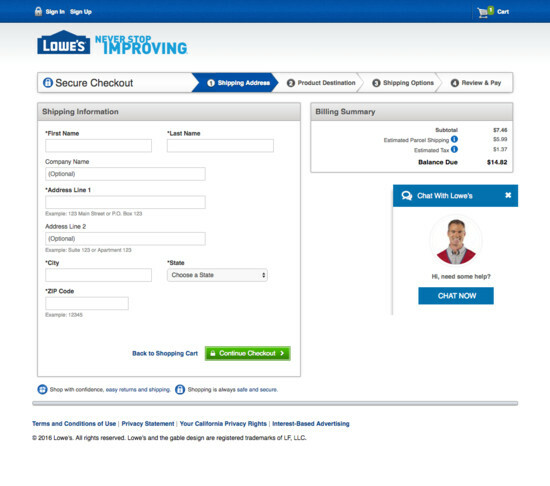 The most common severe issue is that 54% of sites neglect to address users’ privacy concerns. 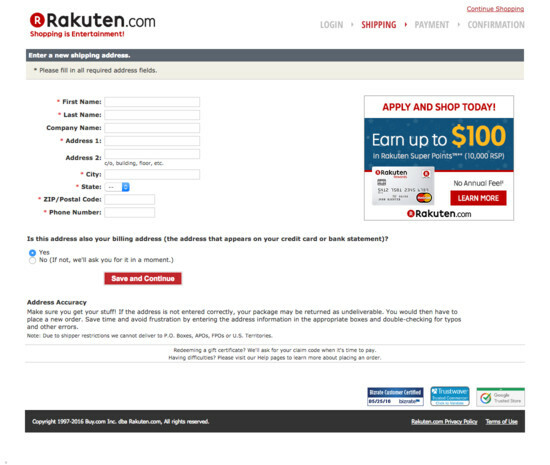 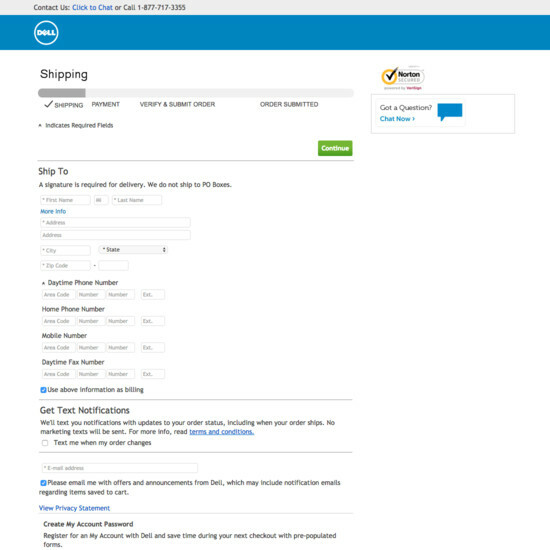 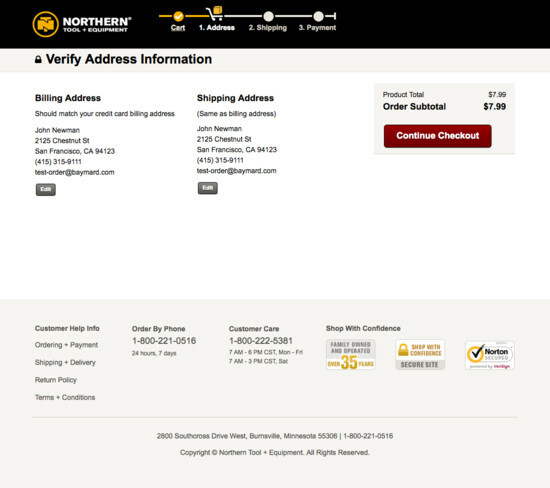 The two most important aspects when looking to minimize the amount of typing users have to do, and how intimidating the Shipping Address checkout step will appear, are 1) defaulting the billing address to be the same as the typed shipping address (by hiding the fields entirely) and 2) auto-detecting the city and state values based on the typed ZIP code (see our article “Auto-Detect ‘City’ and ‘State’ Inputs Based on the User’s Postal Code – 60% of Sites Don’t”. 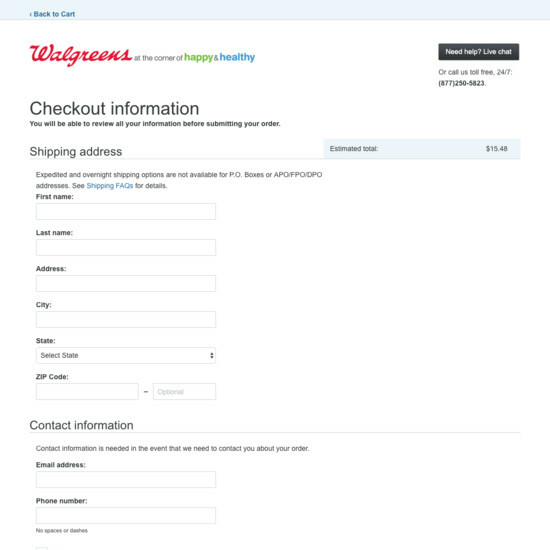 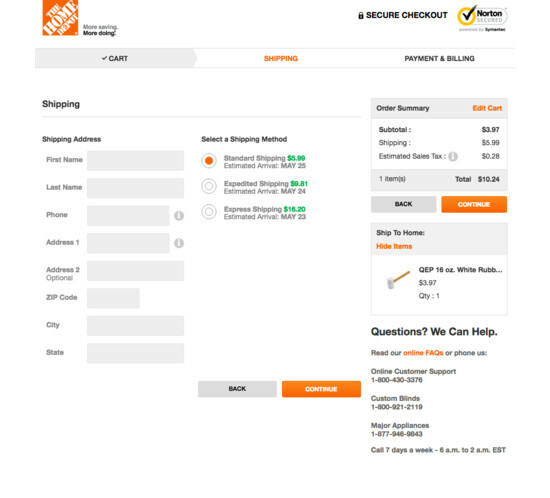 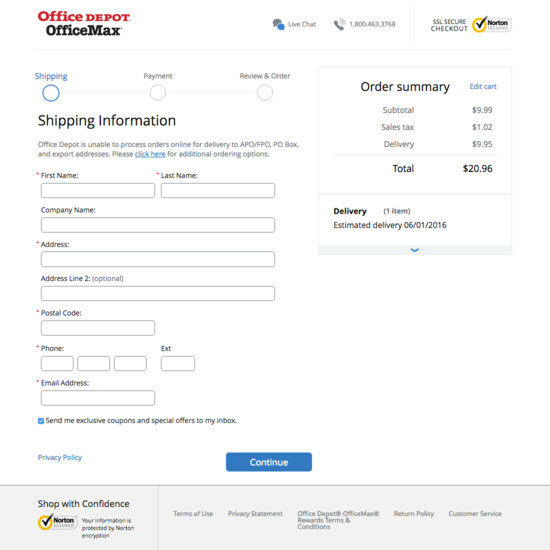 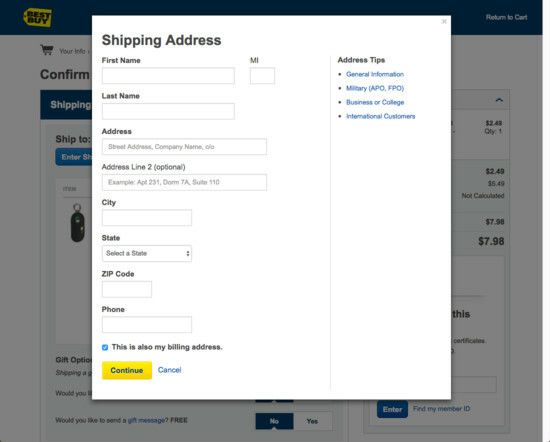 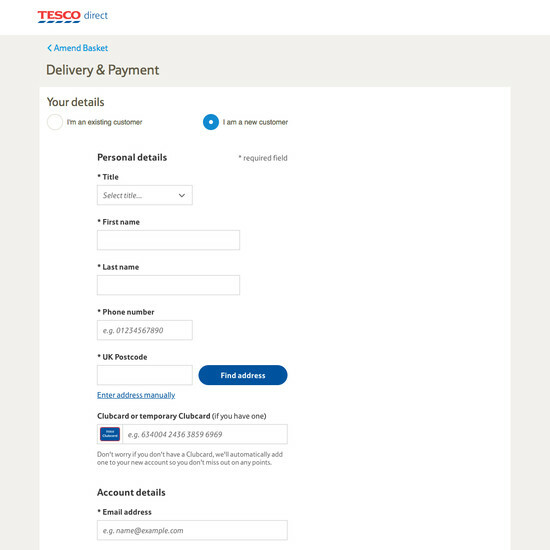 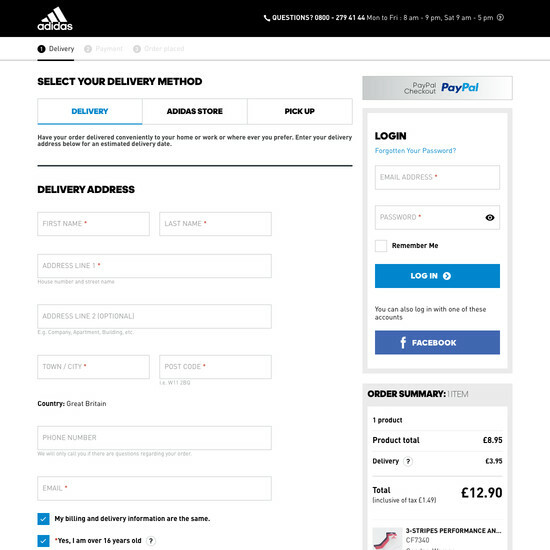 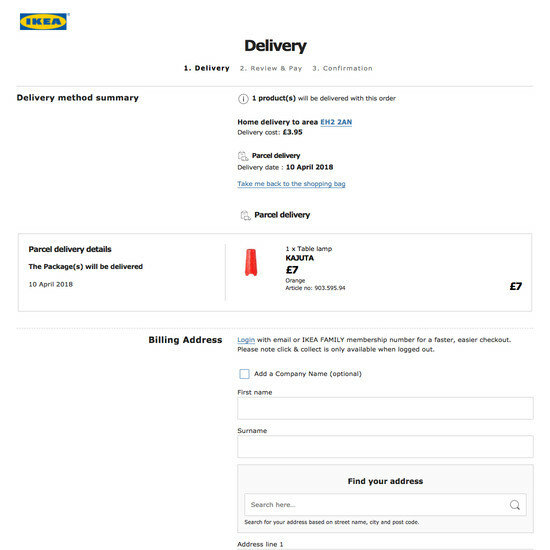 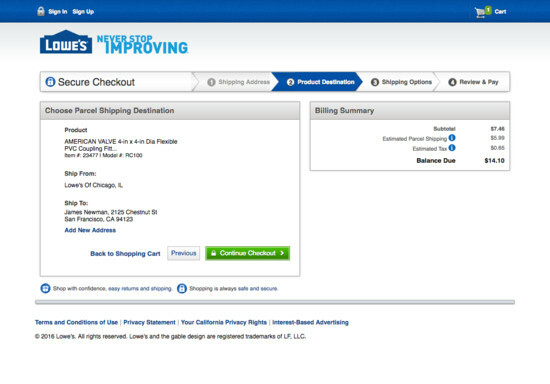 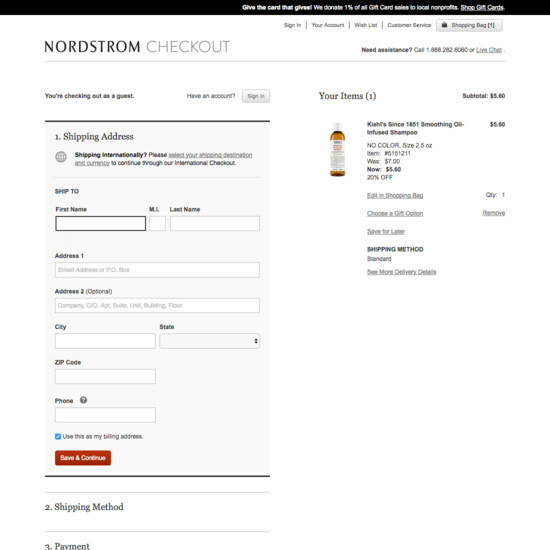 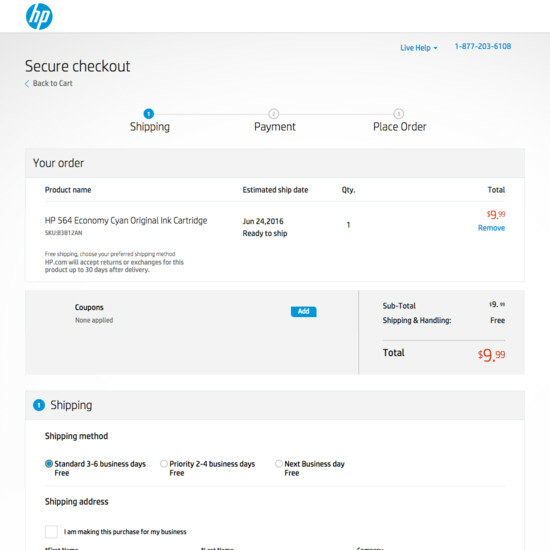 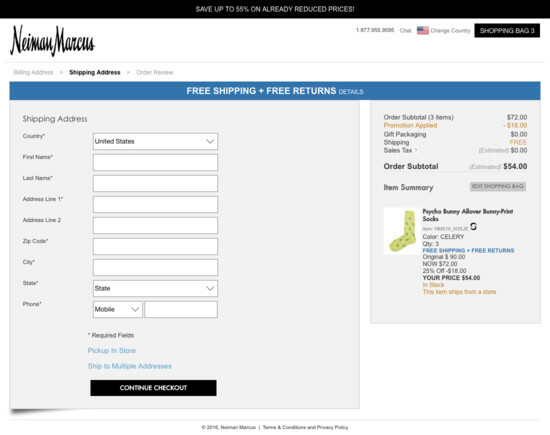 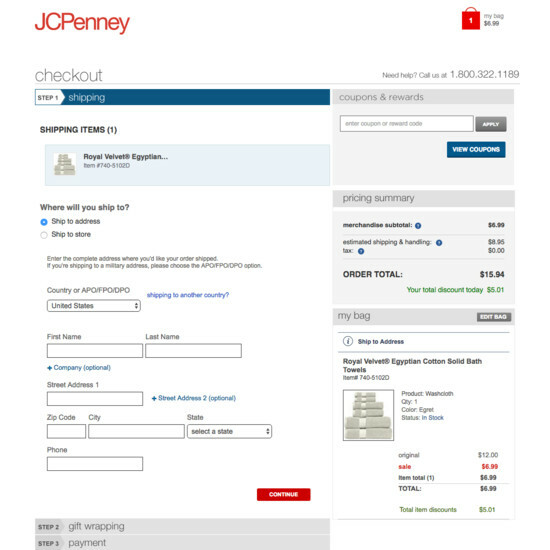 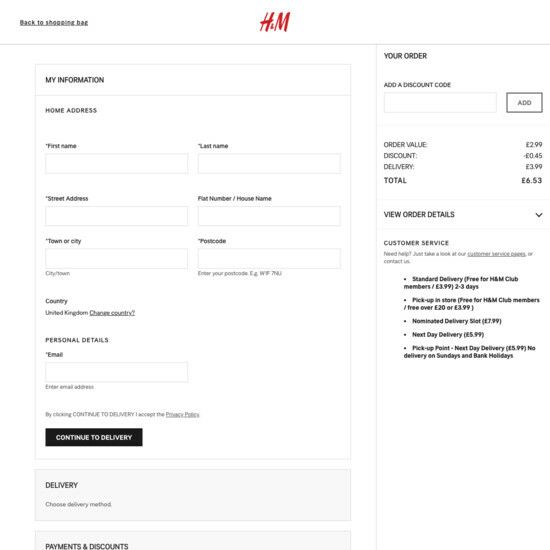 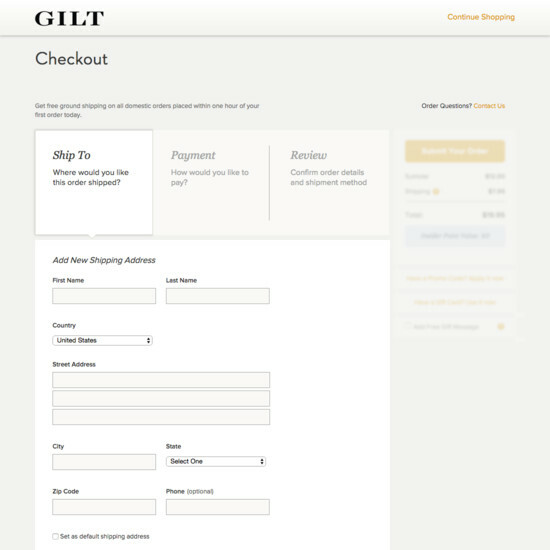 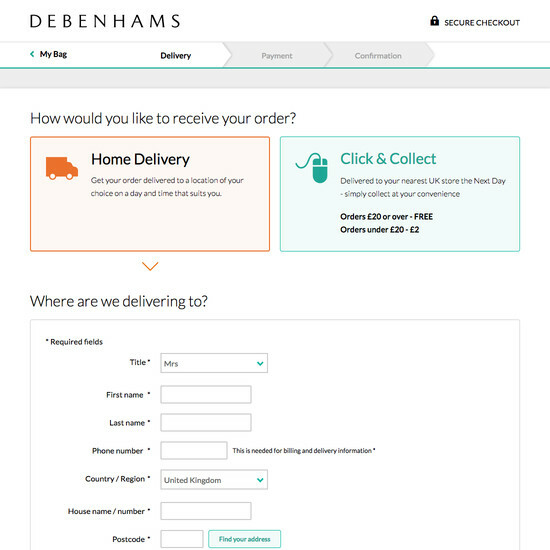 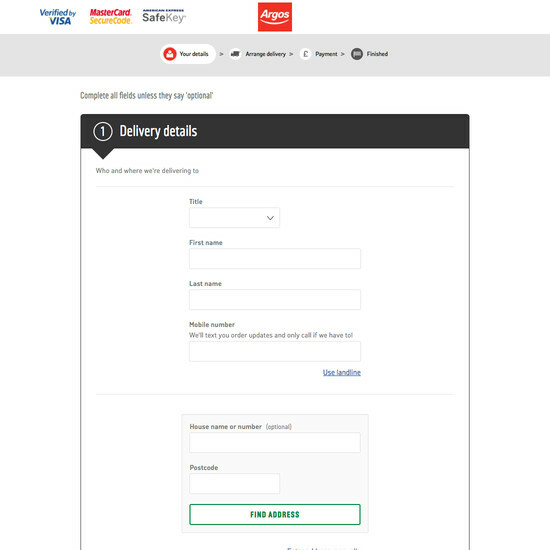 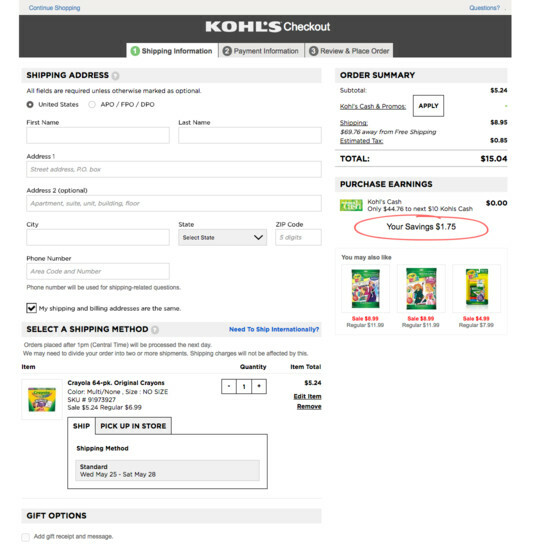 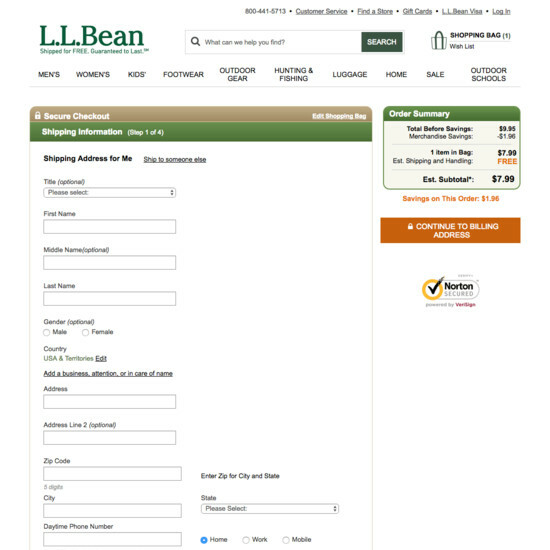 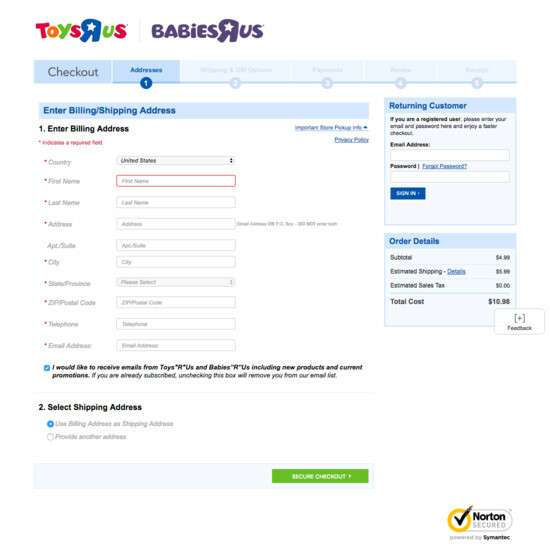 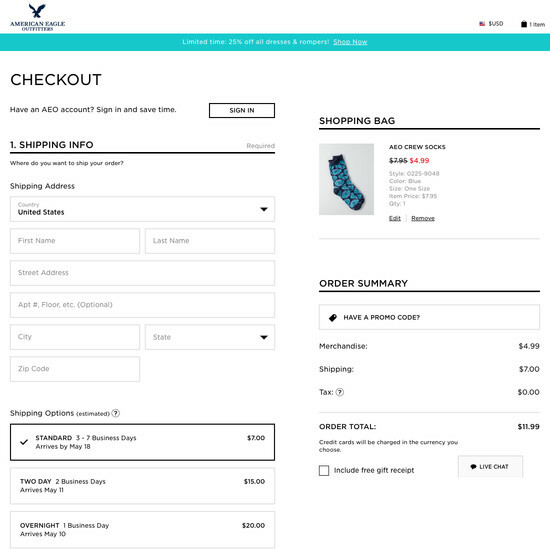 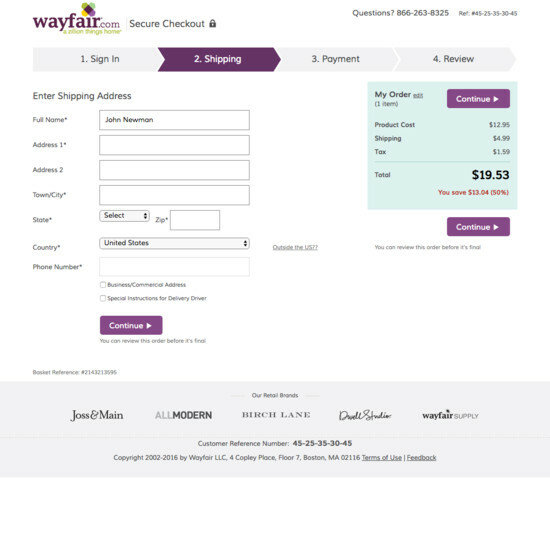 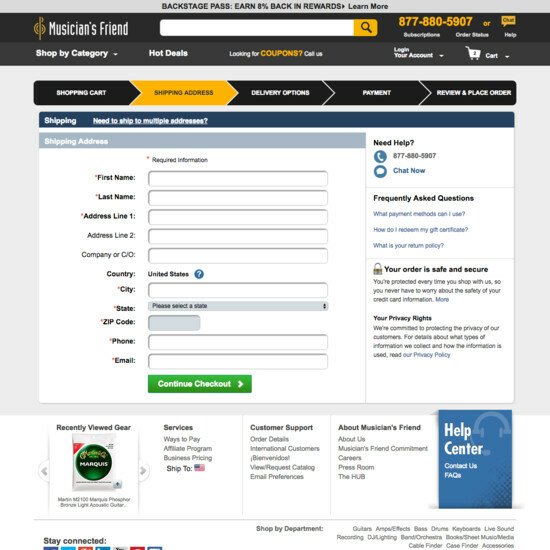 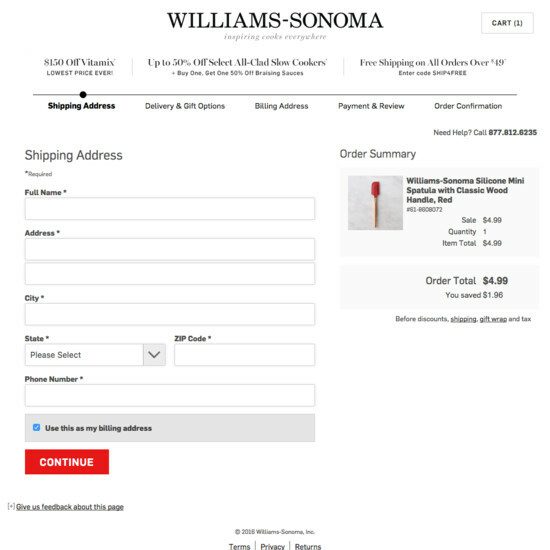 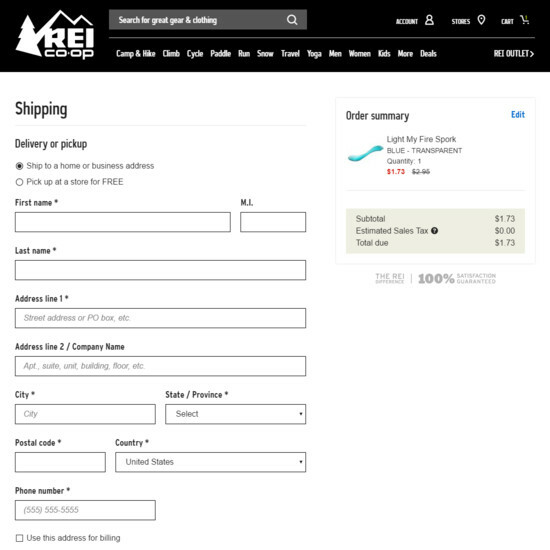 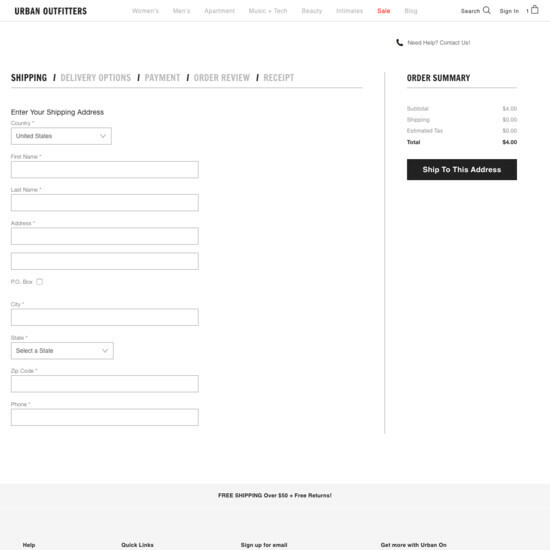 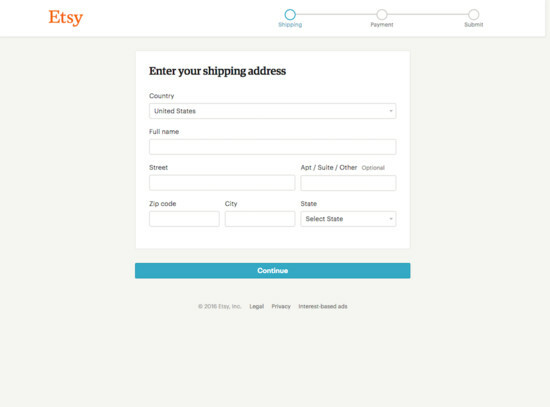 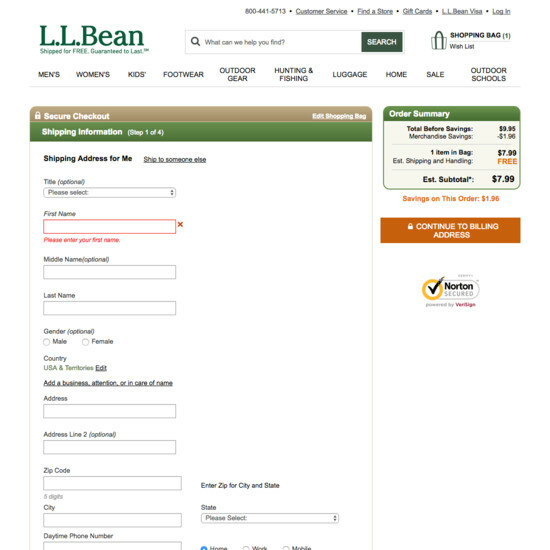 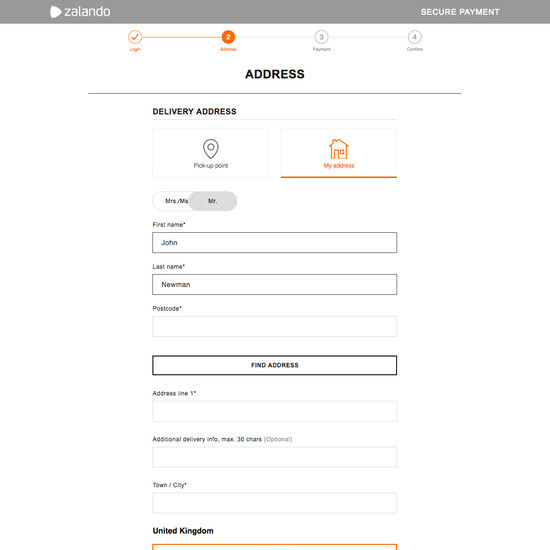 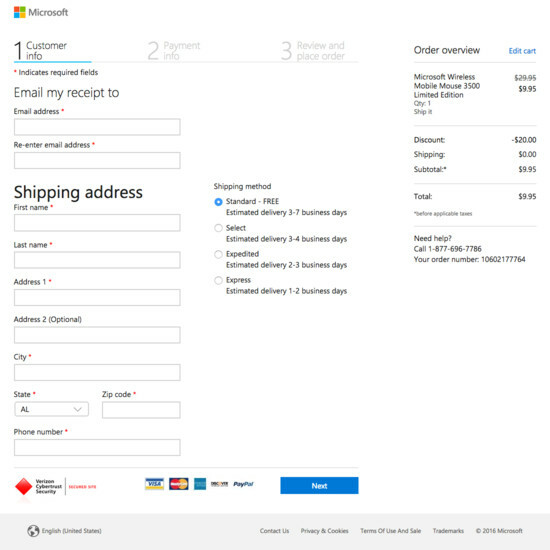 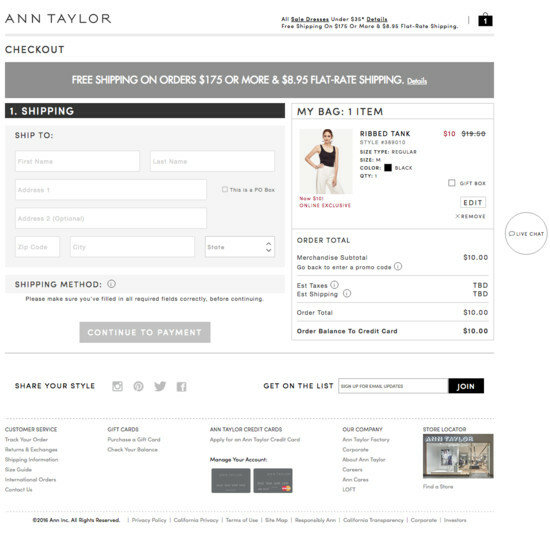 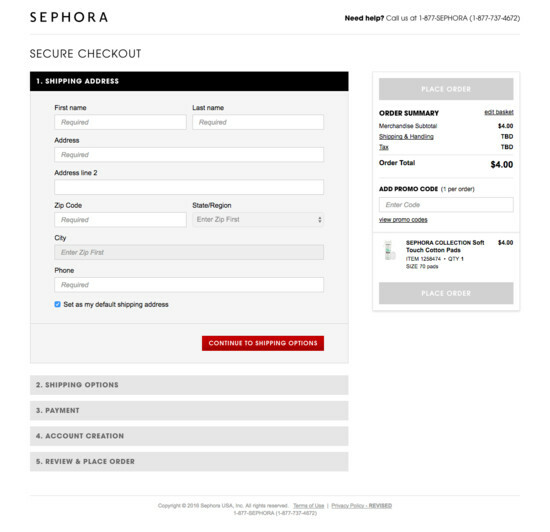 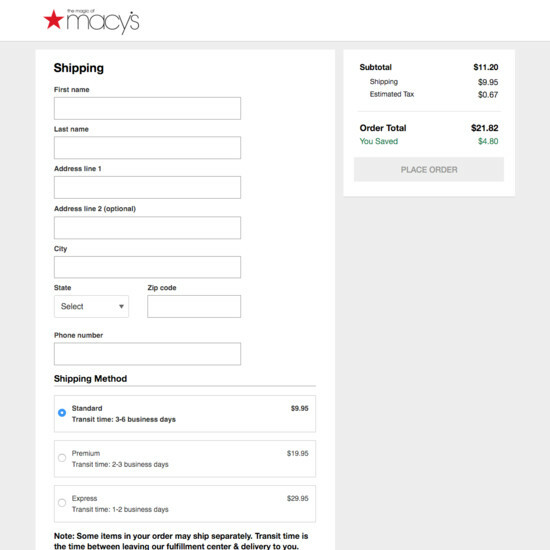 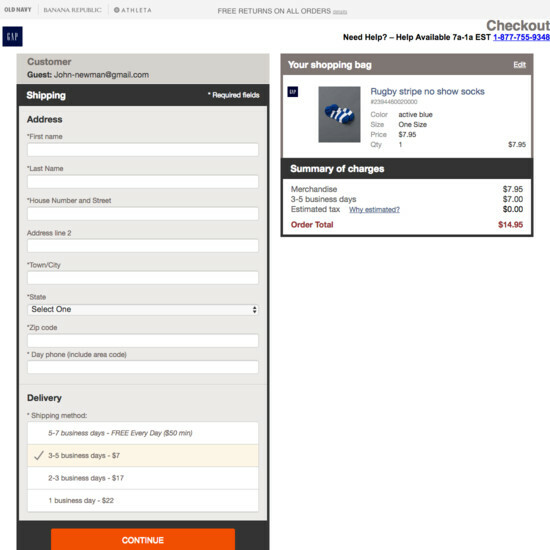 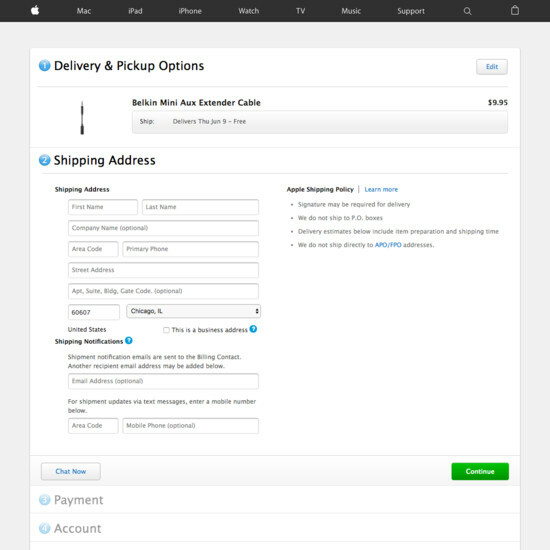 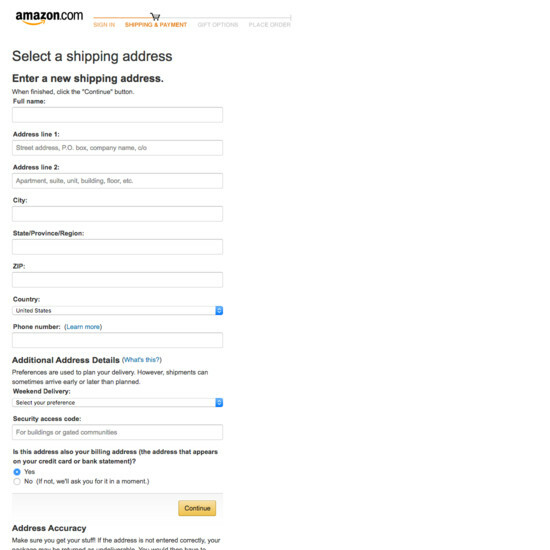 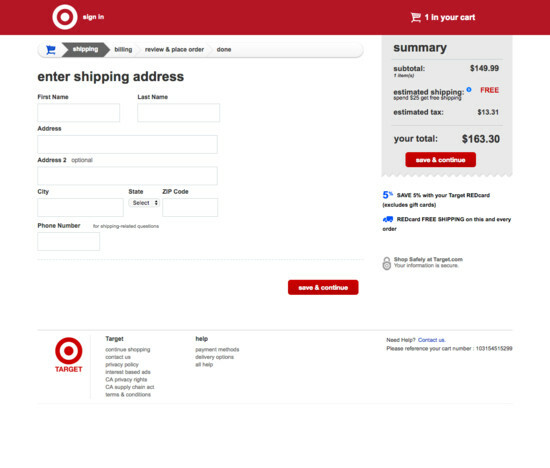 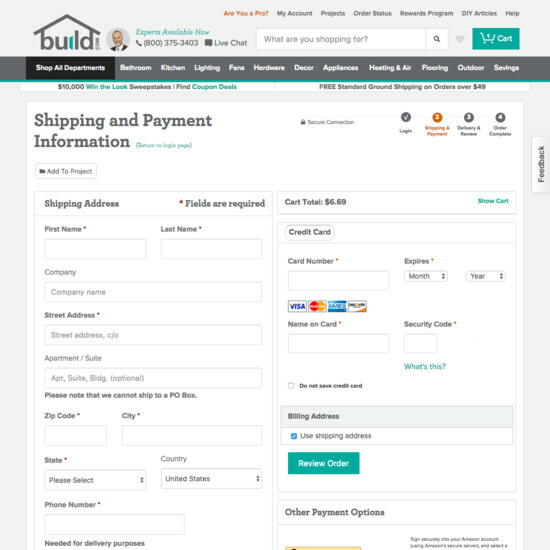 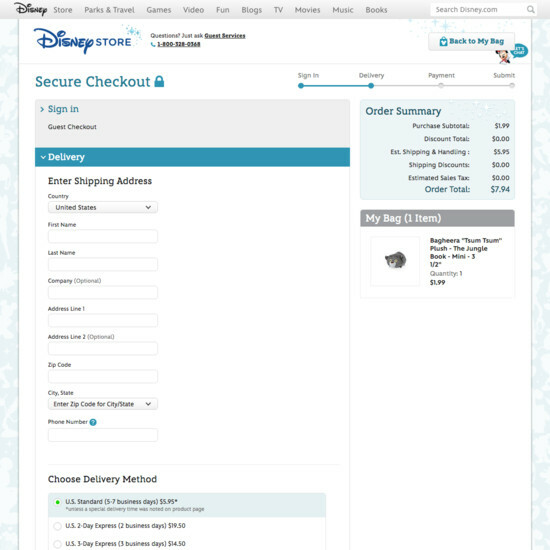 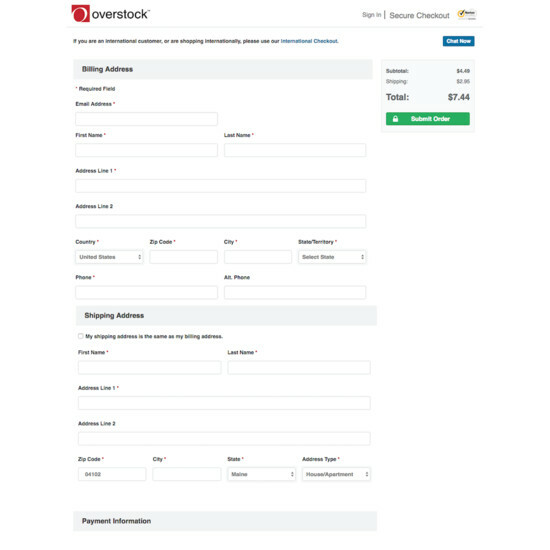 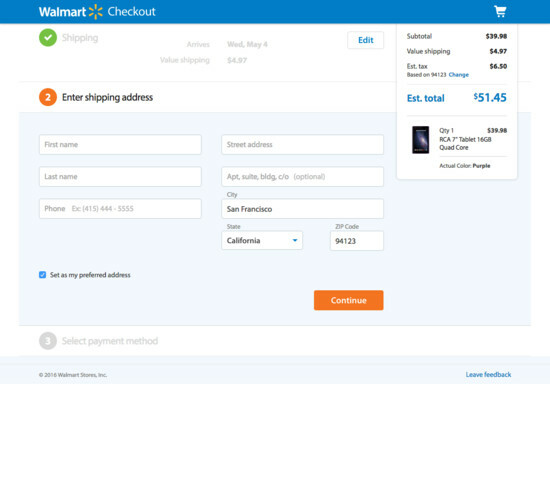 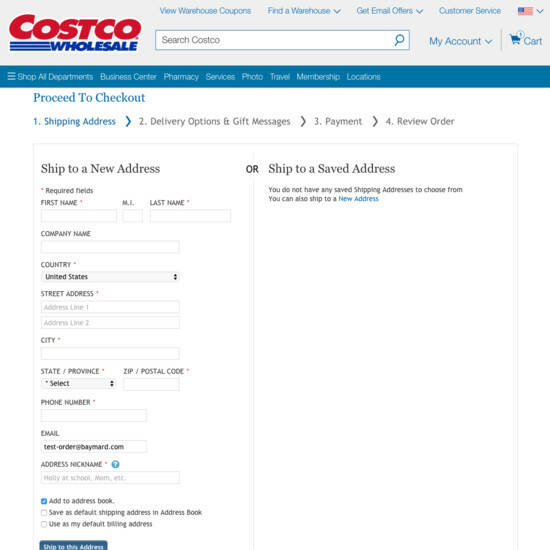 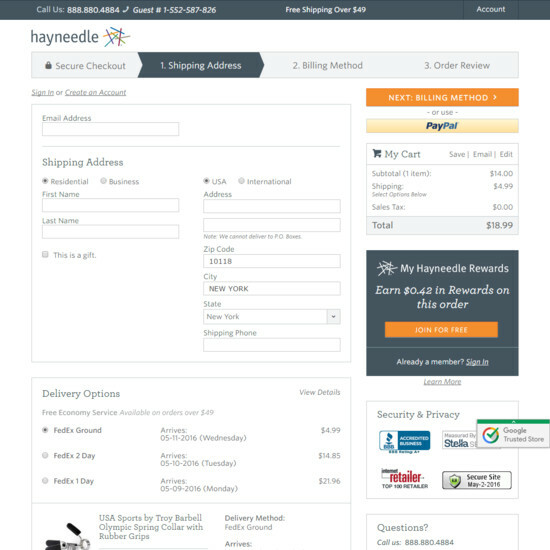 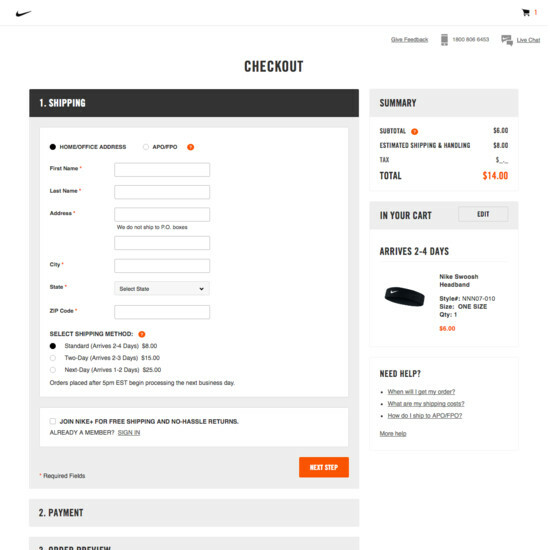 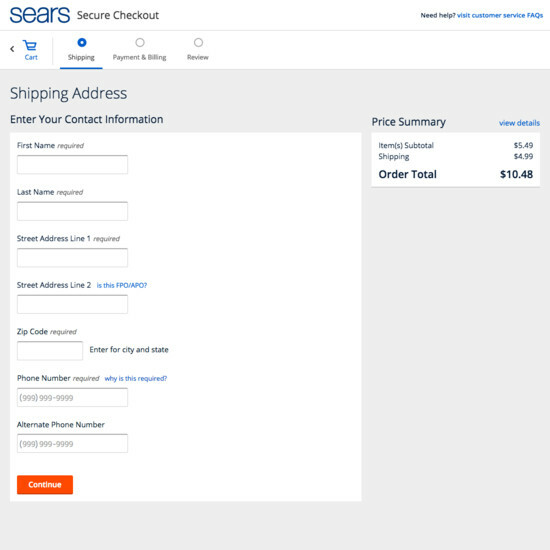 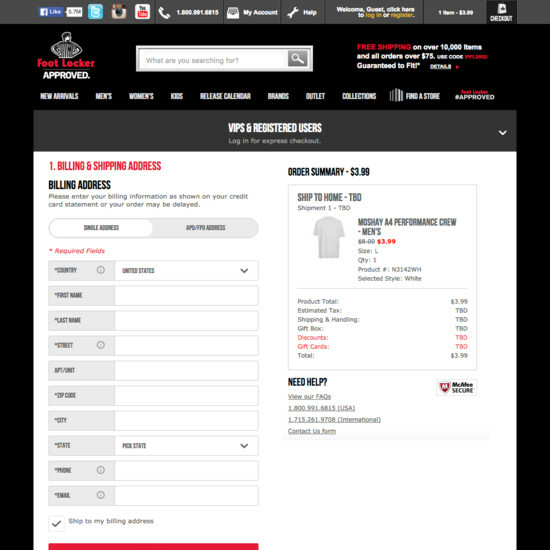 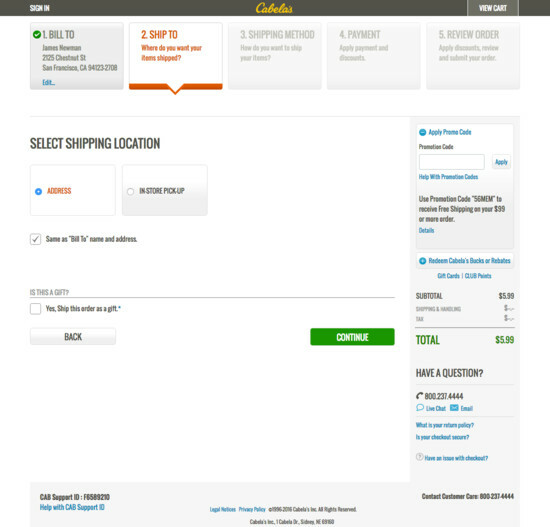 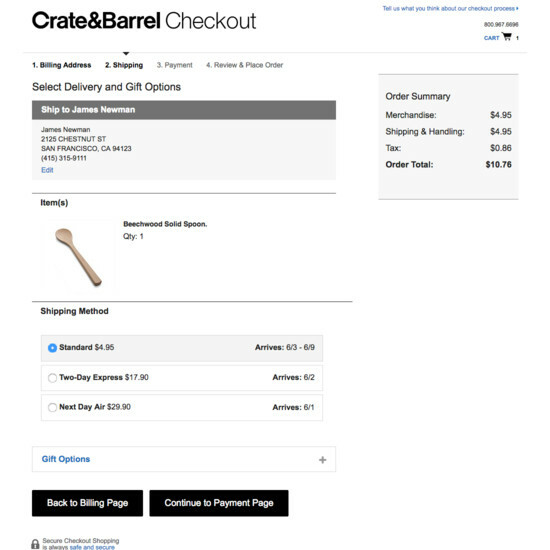 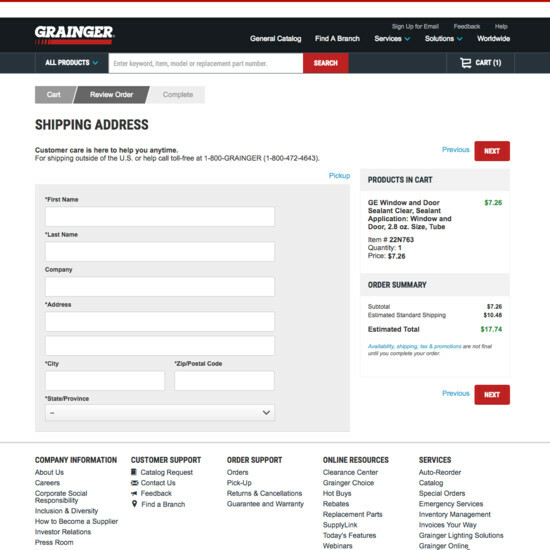 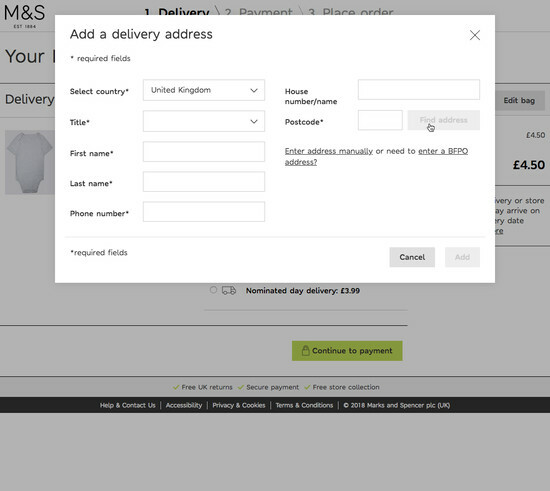 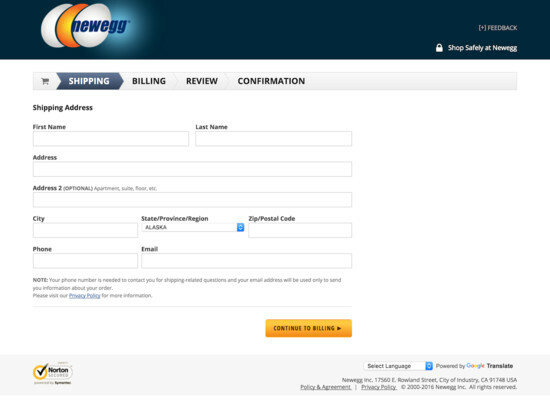 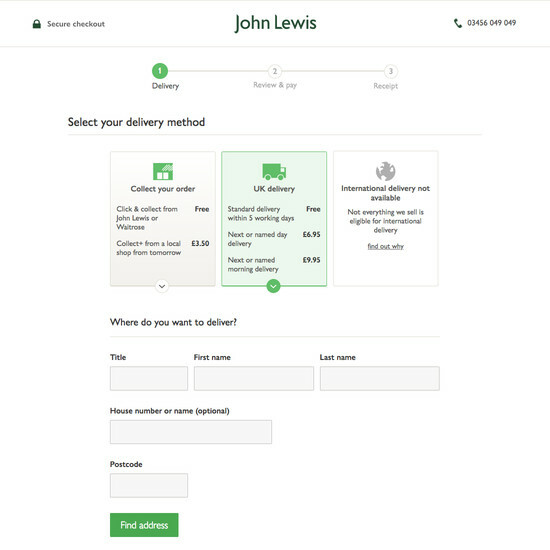 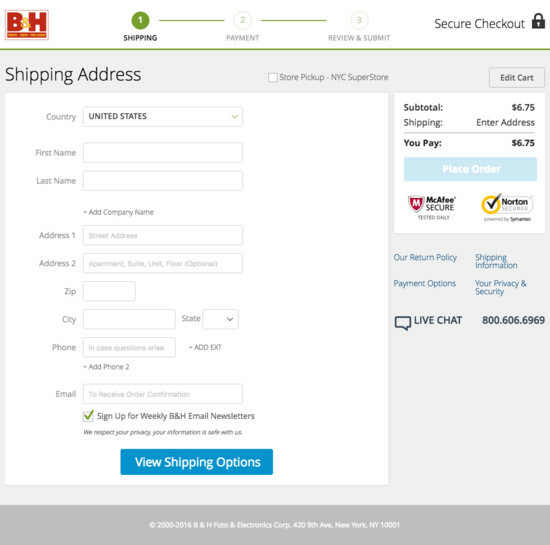 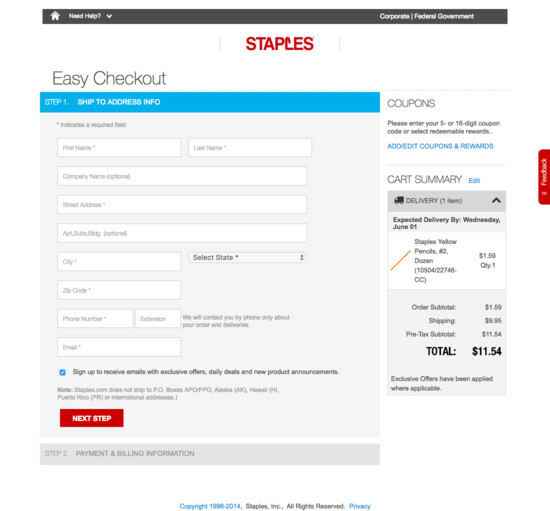 Learn More: Besides exploring the 59 “Shipping Address” checkout design examples below, you may also want to read our related articles “The Average Checkout Flow Has 14.88 Form Fields – Twice as Many as Necessary”, and “Form Usability: Getting ‘Address Line 2’ Right”.